Byoung-Joo (B.J.) Kim supports BGA clients on the ground in Korea, advising them on stakeholder engagement and larger government affairs and public policy matters in Seoul. A former Korean diplomat, B.J. has advised international firms on political-economic and policy-regulatory affairs since 2003, offering monitoring and analytical services on legislative, regulatory and political issues. He also has offered companies hands-on support in their engagement in Korea. Prior to his career in consulting, B.J. was a diplomat serving two of Korea’s trade ministers as policy counselor and special assistant, developing international economic policies and public communications strategies on export and investment promotion. He has served at the National Assembly’s Climate Change and Energy Policy Forum and the Policy and Performance Evaluation Committee of the Ministry of Foreign Affairs and Trade. He advised the 2012 Seoul Nuclear Security Summit preparation team, the 2010 G20 Preparation Committee and the Presidential Committee on the Korea-U.S. Free Trade Agreement in 2007. Concurrent to his work with BGA, B.J. runs the consulting firm Kim, Lee & Partners (KL&P), which advises international firms on the Korean market. 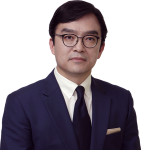 He also has experience representing the Korean business sector as the former director of external affairs at the Washington, D.C., office of the Korea International Trade Association. His Washington career began as a consultant economist at the World Bank, specializing in the trade policies of East Asian economies. Since 1998, he has taught export-driven development policies, international political economy and public communication as adjunct professor of international studies at Hankuk University of Foreign Studies. B.J. received his Ph.D. from the Massachusetts Institute of Technology’s Department of Political Science, specializing in international political economy.